Grid reference: 494500, 115500, View on: Google Maps, Open Street Map, Streetmap, National Library of Scotland Map or Oldmaps. There are 889 baptisms in the OPC database. IGI Batches: C071351 (1571 ~ 1641, 1662 ~ 1874); E071351 (1571 ~ 1641, 1662 ~ 1874). There are 312 marriages in the OPC database. IGI Batch: M071351 (1571 ~ 1641, 1662 ~ 1875). There are 5 images of this church in the OPC database. Built: Unknown or not given. This little E.E. church has a memorial to the Rt. Rev. Samuel Wilberforce, Bishop of Oxford and later of Winchester (d.1872). There is 1 document concerning this church in the OPC database. 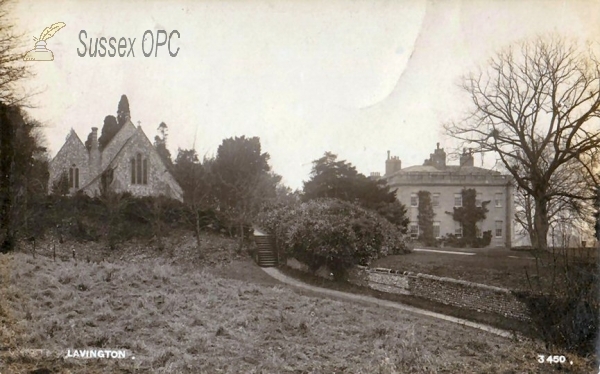 There is 1 article about this church in the OPC Sussex Archeaological Collections Index. The church is now used as the chapel for Seaford College a large private school which moved to the parish in 1946 after its original site was requisitioned by the military.